recent adult title, The Ocean at the End of the Lane, has won numerous awards, most notably: the British National Book Awards, Book of the Year for 2013, and the Locus Award for Best Fantasy Novel for 2014 . His other adult books include: Stardust, which won the Mythopoeic Award as best novel for adults in 1999; American Gods, which won the Hugo, Nebula, Bram Stoker, SFX, and Locus awards; and Anansi Boys. His children's books include The Day I Swapped My Dad for Two Goldfish; Coraline, which won the Elizabeth Burr/Worzalla, the BSFA, the Hugo, the Nebula, and the Bram Stoker awards; The Wolves in the Walls; and The Graveyard Book, which won the Newbery Award in 2009. He also co-wrote Good Omens with Terry Pratchett. 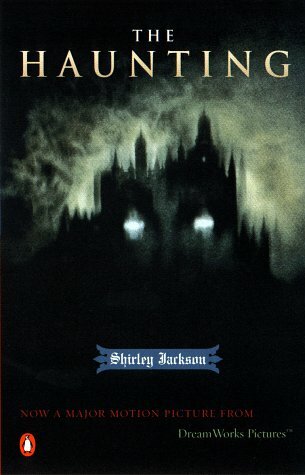 In 2015, his title Trigger Warning: Short Fictions and Disturbances made The New York Times Best Seller List.Shirley Jackson was born in San Francisco, California on December, 14, 1919. She received a Bachelor of Arts degree from Syracuse University in 1940. Much of her writing was done during the years she was raising her children. She is best-known for the short story The Lottery, which was first published in 1948 and adapted for television in 1952 and into play form in 1953. Her published works include articles, nonfiction prose, plays, poetry, seven novels, and fifty-five short stories. Her other works include Life among the Savages, Raising Demons, The Haunting of Hill House, which was adapted to film, and We Have Always Lived in the Castle. She died on August 8, 1965 at the age of 45.